Sally Vanden-Hehir (MChem Hons in Chemistry with Industrial Experience, University of Edinburgh) joined the group in Sept 2015. She carried out her undergraduate project with Dr David Clarke at the University of Edinburgh, using biomolecular mass spectrometry to study a ferritin-like protein to provide insight into bacterial iron storage. She has now joined the EASTBIO DTP, funded by the BBSRC, and is developing polymeric nanoparticles for targeted drug delivery. These nanoparticles will contain tags so they can be imaged in vivo using Raman spectroscopy. 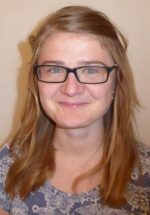 Kristel Sepp (MChem Medicinal and Biological Chemistry, University of Edinburgh) joined the group in September 2016. As part of her undergraduate course she spent a year in Prof Leung Pak-Hing’s research group (Nanyang Technological University, Singapore), working on the synthesis of new chiral phosphines using asymmetric catalysis (Adv. Synth. Catal., 2015). After a summer project working in the Hulme group working on stapled peptides, she stayed in the Hulme group for her final year Masters project developing bioorthogonal Raman probes to study cholesterol uptake and distribution in cancer cells using Fluorescence and Raman Spectroscopy. As part of the OPTIMA CDT she is continuing her work in the Hulme group in collaboration with Prof Val Brunton (Edinburgh Cancer Research Centre), investigating the use of drug imaging technologies for cancer research using Raman spectroscopy. Alan Zhao (MChem Medicinal and Biological Chemistry, University of Edinburgh) joined the group in January 2017. After an exchange project with Dr. Ho Yu Au-Yeung at the University of Hong Kong, working on the Synthesis of a copper (I) luminescent probe. He carried out his undergraduate project on the study of fluorescence quenching of 2-aminopurine and pyrrolocytosine with free nucleotide monophosphates under the supervision of Prof. Anita Jones at the University of Edinburgh. He is now jointly funded by IBioIC and Leica Biosystems, and is developing new biocatalytic systems for multiplexing histological staining. 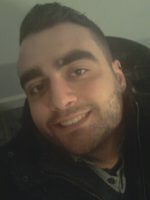 Hector Yiannakas (MChem Medicinal and Biological Chemistry with Industrial Experience, University of Edinburgh) joined the group in September 2017. During his undergraduate studies, he undertook an industrial placement with GSK (Stevenage), working on novel cross-coupling methodologies and on the multi-step synthesis of kinase inhibitors. His final year project (“Sequential Arylation Protocols for the Synthesis of Triaryls”) was carried out under the supervision of Prof Lloyd-Jones FRS. Prior to joining the Hulme group, he spent 3-months in the Unciti-Broceta group (Cancer Research UK Edinburgh Centre), developing novel potent and highly selective of c-Yes tyrosine kinase inhibitors. He is now funded by EPSRC and is investigating the implementation of alkyne metathesis as a new tool for the self-assembly of complex molecular architectures. 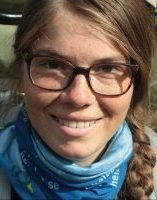 Marie Bluntzer (MChem Chemistry with Industrial Experience, ENSCL, Lille, France) joined the group in Sept 2017. After 2 years of programming, she joined the computational group at UCB Celltech, in Slough, working on therapeutic targets assessment though FragMD methods, semi-automated small molecule de-novo design and ligand binding free energy calculations. Now in Edinburgh, her PhD project is to develop molecular dynamics models to predict the propensity of stapled peptides to adopt a helical secondary structure and to build tools to rationalize their design. In collaboration with UCB and Medical Research Scotland, the synthesis and characterization of leads for targets implicated in rheumatoid arthritis and osteoporosis will be performed. Edith Sandström (MChem in Chemistry with a Year Abroad, University of York) joined the group in October 2018. During her undergraduate degree she came in contact with the application of chemical analysis to historical and archaeological questions, which initiated her interest in analytical chemistry and led her to conduct her final year project at Univeristät Heidelberg under the supervision of Prof. Mario Trieloff. Her project was on developing and understanding the limitation of using secondary ion mass spectrometry (SIMS) for the investigation of carbon and oxygen isotopes of carbonate rocks to better understand past climate and the history of rocks. Now, as an AHRC stipend holder shared jointly between the University of Edinburgh and National Museums Scotland (NMS), she has moved forward a few million years and is investigating a collection of Scottish and English embroideries from the 16th-17th c. housed at NMS. Her primary interests during this investigation are the development of new methods for dye analysis and determining what the dyes used can tell us about the available raw materials, manufacturing processes, and trade routes from that time. 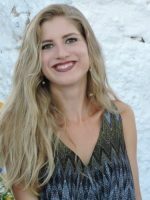 Maria-Eleni Kouridaki (MSc Medicinal and Biological Chemistry, University of Edinburgh) joined the group in October 2018. 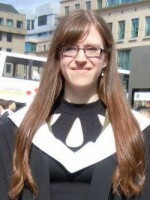 As part of her undergraduate degree she carried out her dissertation with Dr Arthur Crossman in Dundee University on the synthesis of sugar analogue inhibitors towards UGP bacterial enzyme to treat Human African Trypanosomiasis, while in her Master’s thesis she dealt with allyl Boron species for Lewis Base catalysis, under the supervision of Dr Uwe Schneider. Her project now aims to combine computational modelling with organic synthesis to discover new potent and selective inhibitors for Cyclophilins (Cyps), a family of enzymes linked to neurodegenerative diseases, liver diseases, tuberculosis and certain types of cancer. Achievement of selectivity in inhibition of the different Cyp isoforms poses a significant challenge owing to their highly conserved nature. 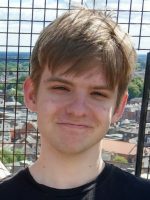 Liam Bateson (MChem in Chemistry, University of York) joined the group in September 2018. As part of his undergraduate degree he carried out a project with Dr Avtar Matharu, on the valorisation of Grapefruit waste as a source of high value chemicals. This work saw him use a variety of extraction techniques to isolate valuable chemicals and materials from grapefruit peels. He is now funded by AstraZeneca and EPSRC as part of a CASE studentship and is working on the development of bioorthogonal stimulated Raman microscopy for the evaluation of drug distribution. His project aims to improve existing bioorthogonal Raman labels to allow for the imaging of anticancer drugs across all cellular compartments. CRUK-funded PDRA to be advertised early 2019!